I never had them to begin with. 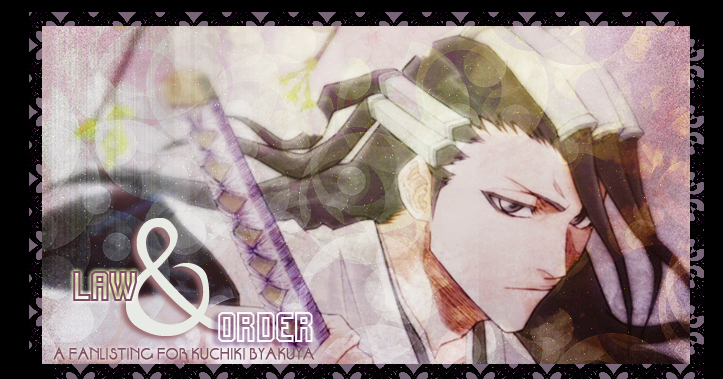 You've just reached "LAW & ORDER", the TAFL-APPROVED fanlisting for KUCHIKI BYAKUYA, one of the characters of the popular manga and anime series BLEACH! Bleach is a property of Kubo Tite, published by Shueisha, anime by Studio Pierrot. This is only a fansite and no infrangiments of those rights is intended. Layout and contents are (c)Akira since April 26, 2017. Do not reproduce without permission.